Thank you to our Year 5 class for a really powerful assembly all about the life and achievements of Equiano Olaudah. Their presentation was stunning, leaving the whole hall appalled by the horrors of slavery but also with a strong sense of optimism about how each one of us can be a force for good in the world. This entry was posted in British Values, Catholic Life, Creative Arts, Events, Events 2018-19, Respect on November 29, 2018 by admin. Lovely to see our Year 6 of 2017-2018 tonight. You’re looking all grown up! This entry was posted in Events, Events 2018-19 on November 22, 2018 by admin. How clever is our choir? Thank you to Mrs Brookes and Mrs Halloran for all their help! This entry was posted in Catholic Life, Creative Arts, Events, Events 2018-19, Respect on November 12, 2018 by jtibbits2013. They had some great pop-up books requested by the children and they had included some thoughtful book reviews. They used luggage labels to make recommendation to other children and displayed some popular quotes from books they had read. Well done! 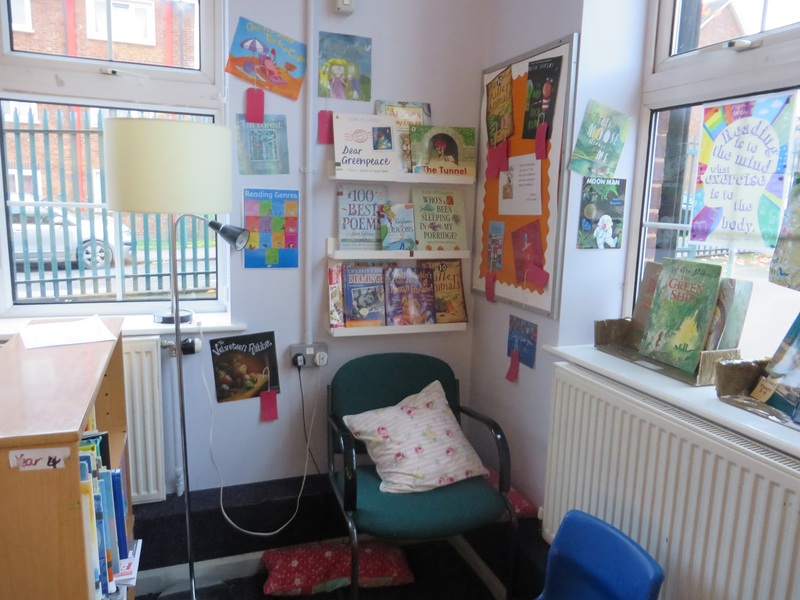 The other classes have some very attractive and cosy book corners too! This entry was posted in Events, Events 2018-19, Reading on November 9, 2018 by jtibbits2013. Key Stage One have certainly shown what they know about castles. Over the holidays children have worked with their families to make these incredible models. Your teachers are super proud of you ! This entry was posted in Creative Arts, Design Technology, Events, Events 2018-19, Show Me What You Know and tagged creative arts on November 6, 2018 by Tarah Coleman.